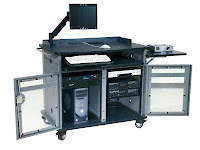 The Media Director is one of Spectrum Industries’ highest all-time selling multimedia lecterns. 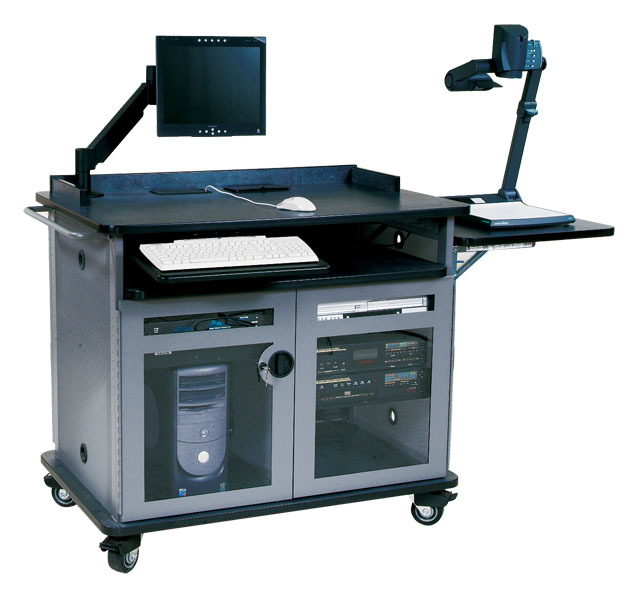 This lectern is not only capable of handling high powered presentations, it can do so cleanly. The Media Director design is perfectly laid out so that instructors can run presentations in a well-organized manner. Does your lectern always seem to be cluttered, without enough space to even set down your coffee cup? The Media Director has well thought-out space, inside and out, for whatever you can give it: rack rail A/V equipment, document cameras, projectors, books, laptops, and yes, coffee cups. For our fans of the original Media Director, Spectrum has recently manufactured a limited run and we are offering it at a greatly reduced price. Normally we sell the flip-up shelf and keyboard tray as options to the Media Director, but with this run, we are even adding both as standard. After these are gone, our high-quality lecterns will be sold at regular prices, so don’t miss out! And a big thank you to all our loyal customers – this sale’s for you!